Since the vast majority of our clients remain in their homes during their remodeling project, DreamMaker's staff does everything it can to ensure the family can go about their lives without disruption. 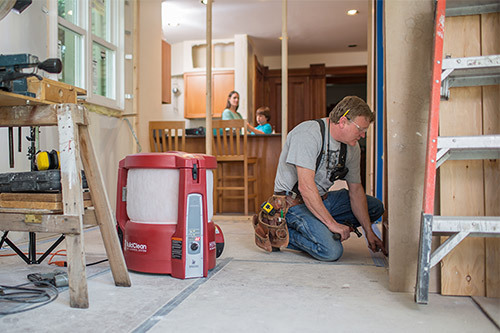 Dust can be a big nuisance, and the ongoing cleaning can be a big disruption in any remodeling job. Demolition causes loads of airborne dust and particles from wood, drywall, cement and insulation. Once the demolition is cleaned up, there's tile cutting, lumber sawing, drywall cutting and sanding, as well as dust from outdoors infiltrating from new window and door openings before they're completed. DreamMaker doesn't just sweep and vacuum at the end of the day. 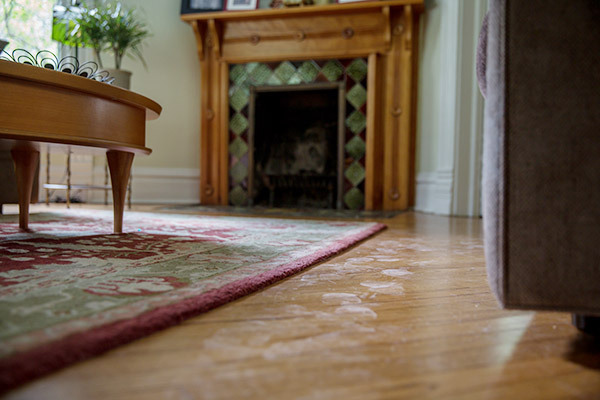 Our crews use an advanced dust control system to keep the air you breathe safe and your possessions and home free of grit and grime. This system is quietly and efficiently trapping and containing dust through a two stage HEPA-certified filter while we work. This dust collection system keeps us all breathing healthy, dust-free air, and you won't wind up with an ongoing chore of cleaning and dusting. The crew at DreamMaker Bath and Kitchen is dedicated to providing quality materials, first-rate workmanship and an enjoyable, stress-free experience for all of our clients. Hiring experienced craftsmen and using first class materials is a straightforward principle we've adhered to from the start. However, providing a remodeling experience that's pleasant and non-disruptive to our clients is an ongoing quest. When you're considering a company to do your next remodeling job, make sure they're concerned about your comfort throughout the project. At DreamMaker, your comfort and your home's livability are our number one priority. Call DreamMaker today and let us show you just how clean and easy your remodeling project can be.